Women had fought for years to enter the New York-based Kerrymen’s association. 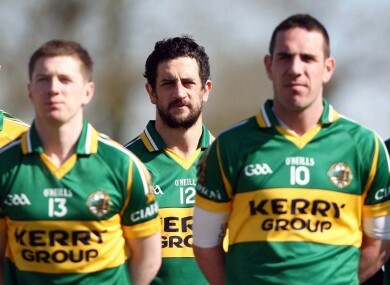 Some Kerrymen, but not the ones in New York. ONE OF THE largest Irish-American associations in New York is finally opening up its membership to women after 131 years of being a men-only environment. The Kerrymen’s Association has opened up membership to women for the first time since it was founded in 1881, according to IrishCentral.com. Kerry women had been fighting for many years to gain admittance to the organisation which was founded to help those from County Kerry living in New York who were in need. The organisation has fought for years to legalise thousands of undocumented Irish and holds highly successful fundraising events at its HQ in Yonkers. Email “Kerrymen open up to women after 131 years”. Feedback on “Kerrymen open up to women after 131 years”.